The neon green façade of Storey Hall is matched by the vibrant colours of the plumbing apprentices’ hi-vis vests. They’re here at RMIT’s city campus for a session with David Clark, education and support team leader at Incolink, which manages commercial building and construction workers’ entitlements and provides wellbeing and support services. David is coaxing responses from the young men about their gambling behaviour. He has arrived at this point via a discussion about managing their income. If they gamble frequently, the amount they spend should form part of their weekly budget, he tells them. He relates anecdotes about blokes whose gambling has cost them friends, jobs and cars, and encourages the apprentices to share stories of their own: mates or family harmed by gambling and strategies for managing their own gambling. He relates anecdotes about blokes whose gambling has cost them friends, jobs and cars. Andrew Rowe is a third-year plumbing apprentice. At 36, he is older than many of the apprentices in the room and gambling is no longer something he does. The prevalence of apps makes gambling too easy, he believes. Back in his twenties, he and his friends would sometimes gamble at the pub, giving each other a ‘razzing’ if they lost money. It was an attitude that probably limited their gambling, he reflects. Young men tend to be risk-takers and their friendships often have an element of competition. The gambling industry has normalised the link between sport and betting. A large proportion of gambling advertising is directed at young men. Mobile devices provide 24-hour-a-day access to gambling. Apprentices, although on relatively low wages, often have a significant level of disposable income. 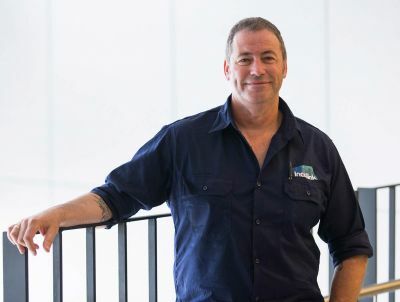 With around 95 per cent of building and construction workers being male, it is vital the industry helps inform apprentices about minimising gambling risks, David says. Leave ATM and credit cards at home when you go out. Implement the ‘two-pocket’ plan: place the amount of money you’re prepared to lose in one pocket. Once it’s empty, you’re done for the night. Ask mates to come and get you once the time you’ve set aside for gambling is up. When you’re going out, try to choose a venue without pokies. Between January 2016 and June 2017, 279 education sessions were presented at 25 TAFEs to 3566 apprentices. Feedback collected after the sessions indicates the vast majority of participants are able to recognise signs of gambling harm, know how to contact Gambler’s Help and are aware of strategies to reduce their gambling risk. 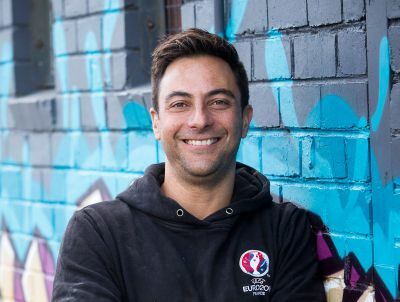 ‘The Incolink advantage is that our guys who speak to young and upcoming tradespeople are from the industry and know it inside-out,’ Dan says.